Okay, having finally watched Creed recently, this head-to-head battle just got tougher (I mean, I’d be lying if I said there weren’t thoughts of joining a boxing gym afterwards). While MBJ can definitely throw a punch now, he also takes a jab at conventional suiting with his unexpected takes on classic looks. We love how he perfectly tailors his close for his frame, but still has fun with different silhouettes like tapered pants and double breasted suits with larger lapels. And we’ll be honest: the kid can pull of an earring. 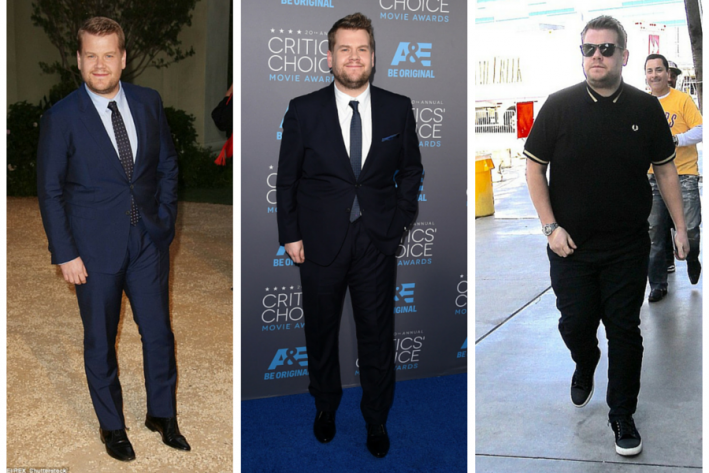 Corden has carpool (karaoke-d) into our hearts this year, while his style has walked straight onto ‘best dressed’ lists. This singing-acting-hosting aficionado can really do no wrong in our eyes – and that includes his polished presentation whether he’s buttoned up in polos or looking sharp in a blue suit. He utilizes monochrome outfits and a color palette that consistently works (blues upon blues) for him to enhance his frame while still highlighting his personal style. We smell a bracket buster happening with this high stakes face-off. This duo pits classic European style vs. retro-meets-edgy vibes, unique prints vs. unique accessories, perfectly tailored vs. perfectly tailored. 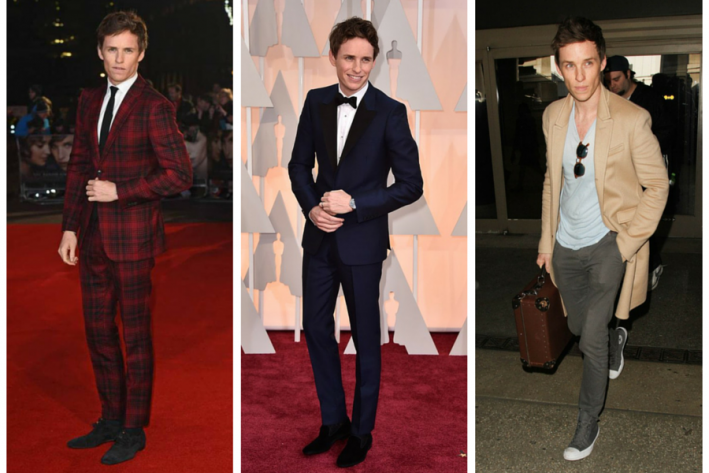 For an actor who says “I’ll take comfort over style any day”, it’s impressive to see Redmayne reach for classic pieces in more slim and tapered cuts without ever shying away from a head-to-toe pattern or captivating monochrome layers. We love how his personal style is timeless yet never boring – not to mention how well he does airport fashion. Throw any dad-bod references out the window because Goldblum’s versatile style is something to be marveled at any age. He seamlessly transitions from retro hipster to toned-down biker to sartorial master within any given week – and we love him for it. Goldblum has refuted any bad connotations associated with a fedora and consistently takes risks with his outfit details (outerwear, zippers, glasses, you name it), making him a MVP of his own personal style. Get his biker style here. GET YOUR VOTES IN BY 11:59PM TONIGHT! COME BACK FRIDAY TO VOTE FOR THE 2016 FINAL 4 .